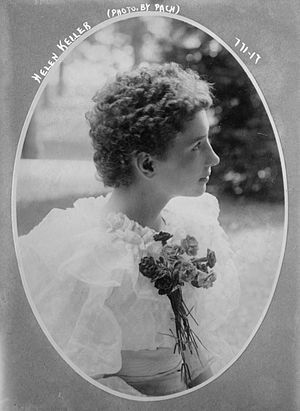 When she was twelve, Helen Keller was accused of plagiarism. Mark Twain’s letter to her expressing his views on plagiarism, written ten years later, appears on Letters of Note. How utterly tweetable, Facebookable and generally useful. Thanks for this post. Thank you for reminding me of this! I remember reading about it in high school as I prepared to play the part of Ms. Sullivan in a play. Rubbish never was exposed as eloquently as by Mr Clemens. He really managed to hit the nail on the head, didn’t he? It’s a shame so little of his writing is widely known. Not that I’m familiar with all that much of it–which could be a sign I should start reading. <> The man never wrote a dull paragraph in his entire life. I still regard him as The Great American Novelist. You’re welcome. I came across the link on a blog–which one, I’ve forgotten. I’ve found so many good things through blogging. What did we do before the web?